At 31-W Insulation, our contractors are highly skilled professionals with years of experience diagnosing and fixing insulation problems. Since 1972, we have been serving the needs of homeowners throughout the southeastern United States, including Charlotte, North Carolina. If you’re interested in new insulation to help make your home more comfortable and energy efficient, 31-W has the services you’re looking for. 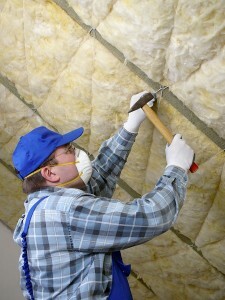 It is one of the most economical ways to insulate your house. It can be cut to fit the size and shape of the space that needs to be filled. It comes in a range of densities and thicknesses to offer different R-values, or insulating power. It reduces strain on your HVAC system and consequently lowers your heating and cooling costs. The insulation contractors at 31-W can help you determine the amount and level of insulation that is suitable for your home and budget. Then, our courteous and friendly professionals will pay attention to every detail as they install the insulation of your choice to maximize effectiveness and offer you the greatest benefits. To meet with one of our insulation contractors in Charlotte, NC, contact 31-W Insulation today.